The cases of the Canadian Immigration and Customs Security Squad. Kessler discovers a Croatian war criminal has been granted amnesty, and must struggle with demons from his own past in Bosnia. ICS helps a movie star enter the country with her newly adopted son: a Sudanese refugee with a dark past and an even darker secret. Q: Will we be able to see this show in the US? 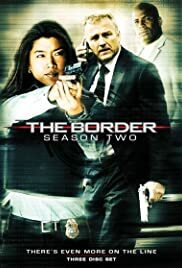 Too bad, there were only 3 seasons about fictional Canada's ICS which handles immigration and customs issues. The drama is well acted and written with a great and talented cast. I loved Jonas Chernick in his role. Catherine Disher is fantastic as "Maggie Norton." The cast also includes the great Nigel Bennett who is in several episodes. The Immigration and Customs Service of Canada sometimes works with investigative authorities to help stop criminal acts. The cast is mixed and diverse in characters. They work well together like a fine oil machine. The drama can be highly dramatic and sometimes light in nature. They handled immigrants who are often illegal possible terrorists or smuggled through like cattle into Canada. I love the filming and usage of Toronto's sights and locations. There were only 3 seasons but they are all worth watching and can see it on American television though late at night by chance. It is worth watching though.